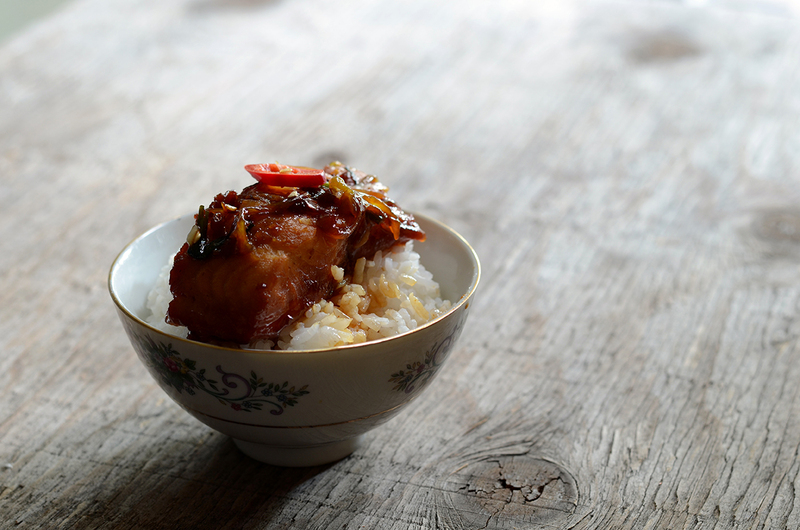 The tộ in cá kho tộ refers to the clay pot this dish is traditionally prepared in. I don’t have any spare clay pots on hand and I bet most of you aren’t going to have it either so we’re going to cheat a bit and make this in a good ol’ fashioned non-stick pan. 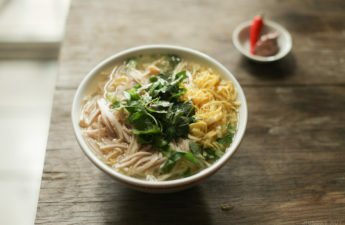 This was a popular dish in southern Vietnam since meat and fish were plentiful. Obviously many types of fish were available there, but certain dishes tend to stick to certain varieties or be influenced by local availability. 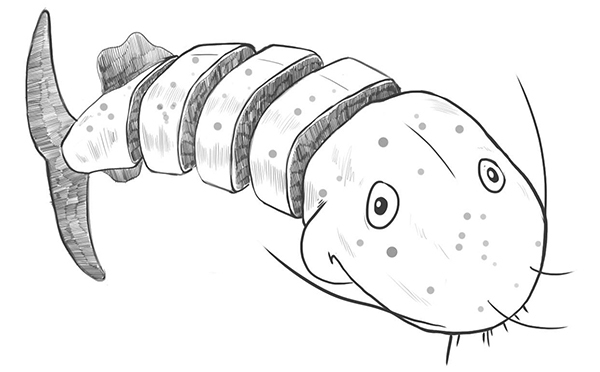 Cá lóc (snakehead fish) is commonly used in Vietnam because it’s cheap. Another popular and pricier option was cá trê. Both of these are only available in the freezer sections of Vietnamese markets. This frozen variety is not worth trying. Its popular for its higher flesh content with less bones–a pretty American choice right? 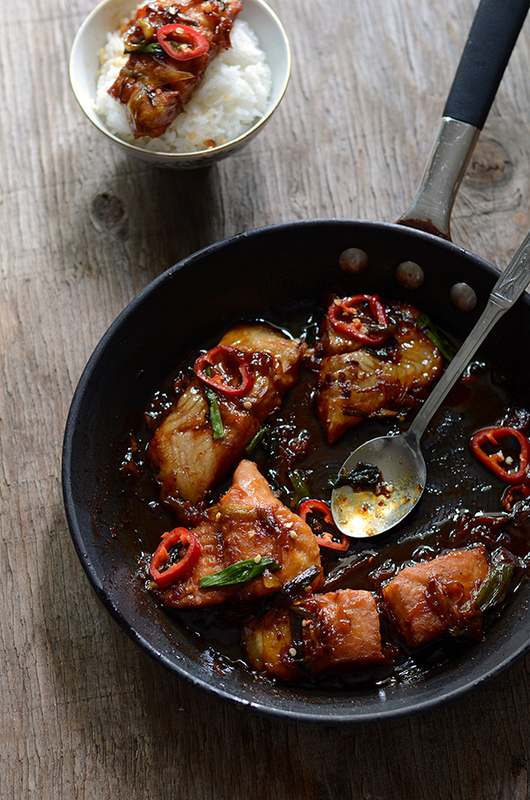 This braised catfish is eaten at any time of the day, year-round. 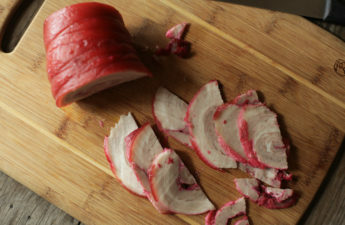 A common practice is to use the filets from the center to make this braised fish recipe, and use the heads and tails for canh chua (a sour soup full of veggies–recipe coming soon!). My aunt actually came over today to make cá kho with tinfoil fish (cá he), in a pressure cooker, which I’ve never gotten the chance to experiment with. This fish is stronger smelling, so she balanced that by adding some tea(!). On my older thit kho recipe (Vietnamese braised pork with eggs) I recommended using Three Crabs brand fish sauce, simply because that’s what my mom uses quite often. There really is a slew fish sauce brands to try though. I need to experiment with more types for my own knowledge. However, Kyle Hildebrant and his friend did a blind taste test on his website, Our Daily Brine. It seems as if the better fish sauces were from Vietnam, and tended to have fewer ingredients, mainly fish, salt and water. The ones that didn’t taste as good coincidentally (or not?) contained a combination of hydrolysed vegetable protein, MSG, or caramel color. 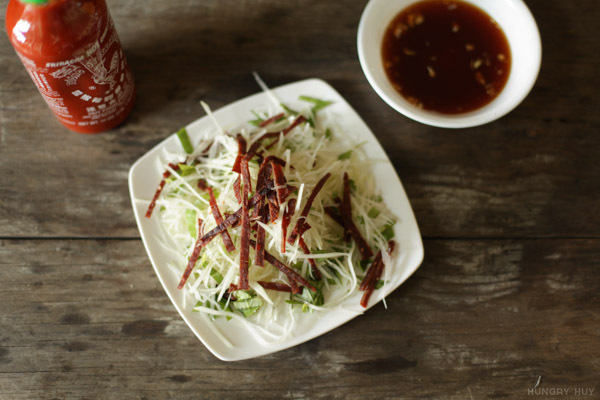 Another consideration when choosing a fish sauce is your health. Some brands contain sodium benzoate, a common food preservative. The Center for Science in the Public Interest describes it as safe for most people except for “sensitive individuals.” Pair that with this substance causing an off taste in many brands is enough reason for me to avoid it when possible. Or at least venture into discovering better brands. 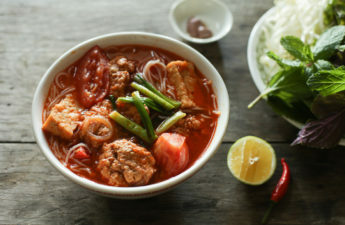 Ca kho is a very rich and salty dish, so it goes well with many veggies to balance it out. Serve this with sliced cucumbers, boiled vegetables, or even some pickled mustard greens (dua chua) despite the salt content. 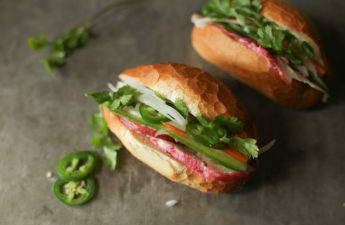 If you ever cook recipes on Hungry Huy, I’d love to see pictures of it and to hear from you! Cheers! Generously salt fish and rinse under water to clean it. Set aside to dry. Add oil to a pan and saute garlic over medium heat until lightly browned. Layer onion on top, then the fish, evenly spaced. Add the seasoning & cooking liquid (& optional chiles) and turn the heat to high until boiling. Taste the sauce and adjust the seasoning. Bring it to a simmer for ~20 minutes. Adjust seasoning if needed. Gently flip the filets of fish over and simmer for a final ~10 minutes with the lid partially covered. Stand there to watch it the final ~10 minutes to prevent it from burning! During this time you can continually spoon the sauce over the fish. Add green onion during last 2 minutes to wilt & top with sliced chiles, and some freshly ground black pepper. i adore this dish. my gpa would make plain chao/rice porridge and we’d have it with this for breakfast. one of my fave memories of him. That’s very heartwarming Lan. I love the stories and connections people make over food like this. I have never cooked with or eaten catfish before. You definitely have got me curious to know what this tastes like… it does look delicious and jam packed full of flavour! Hey Thalia! Catfish was used a lot in mom & grandma’s kitchen. But aside from that and Southern American food, I seen much of it. Thuy, great to see you here and thanks! Yeah the dish is one of those fairly simple ones, but the execution can tip the scales. Especially if you’re picky hehe. Your mom’s prob had many decades to reach perfection on this I’m guessing. This looks great, I love the light and the deep shadows in the photos! You’re right there’s supposed to be a clay pot! I made my confession to that above ;). For a matter of convenience mostly, and the fact most people cooking this won’t have a clay pot. Cracked pepper–yes! The recipe has been modded for this, which is definitely needed. Hi! I had a question about the thick soy sauce.. is there a specific brand you use? Is it actually thicker in texture, or is it just.. darker soy sauce? Thanks! Hey Diana! Yep it’s thicker in texture, kinda syrupy. The ingredients listed in mine are molasses and salt. As long yours only have those ingredients, any brand should do. It’s just used to add color. Hope that helps! 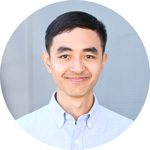 Hi Huy! Thank you for this recipe! One of my goals this year is to cook more Vietnamese dishes. Hopefully, I can accomplish that with the great recipes you have shared! 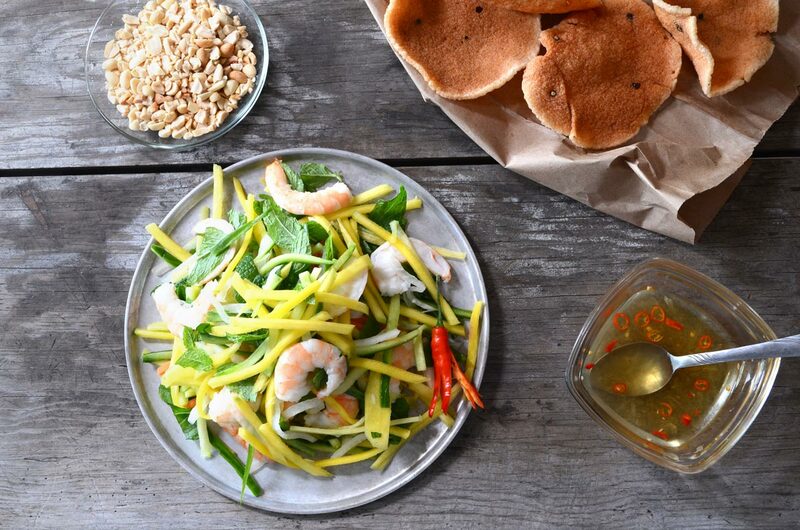 This one is close to the heart – love eating this dish growing up, especially with canh chua! I’m an older white guy who spent some time in Saigon in the 1960’s and have been cooking this fish dish, as well as other Vietnamese dishes. I always caramelize “3 tablespoons Dark brown sugar, sugar or Molasses (3 muỗng canh đường dạrk brown sugar hay Molassi)” from my notes. Did you overlook it when writing the ingredients list? Your Photo shows a good quantity of yummy looking caramelized sauce. Hey John! The thick soy sauce in my ingredient list is essentially molasses, and a choice for convenience. If you don’t cook with it too much though it might be easier to make your own like you said. I have a really old page here on making caramel coloring. Thanks for the recipe! I made it tonight for dinner and my sister said “tastes just like dad’s” which is the best compliment. Right on, Kimberly! Now sis is gonna ask you to make it all the time :). Thank you for sharing! I cooked this dish in many different ways before but wanted to try your recipe because it sounds simple. Wow! It turned out so GOOD! The color, texture, taste… so perfect. ps. I like my dish a little sweet so I added 1 tablespoon of sugar to the cooking liquid. Hey Minh Thu, it’s very cool to know you tried out the recipe and that it turned out well for you! I’m sure your experience with ca kho doesn’t hurt :). Thanks for trying the recipe and please share if you try out more! Simple, easy, and BEYOND DELICIOUS! Wow, I am amazed by your talent. I am so happy to stumble across your website. Recipes all look mouth-watering and, most importantly, authentic! I crave Vietnamese food ALL THE TIME! Now I know where to turn for some good old Viet cooking! Keep up the fantastic work! Thank you, thank you, thank you!!! Hey Courtney thank you for your kind words! Glad to know you’ve found value here 🙂 Let me know if you have any questions with the recipes! Hi! I searched for this recipe so happy I found it! I am using cat fish that has been caught locally and put in freezer as for thick soy sauce are you saying you can just use molasses do you need the soy sauce flavor?? The main reason for adding thick soy sauce is it’s a quick way to add coloring. If you’re so inclined you can make your own, see my recipe for caramel color. I’m actually going to make this switch in the recipe to remove thick soy sauce since it adds a flavor component I don’t love. Hey Lisa, awesome, let me know how it works out for you! HAHA yeah shoot me an email!